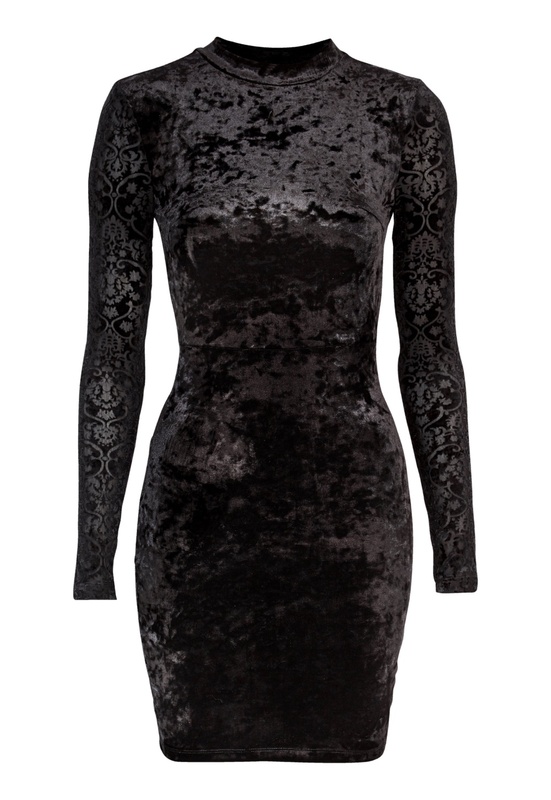 Tight, long sleeve velvet dress from CHIARA FORTHI. The dress has a slightly higher neckline and shoulder pads, which create a lovely silhouette. Length of garment in size S: 89 cm.